• Simply slide your message into the polycarbonate u-shaped sleeve. 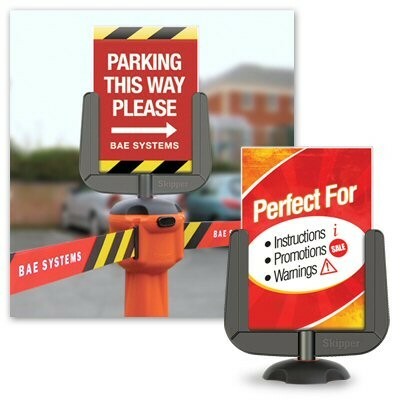 This A4 sign holder clicks on top of the Skipper unit to display any warnings or promotional messages. Simply slide your message into the polycarbonate u-shaped sleeve.